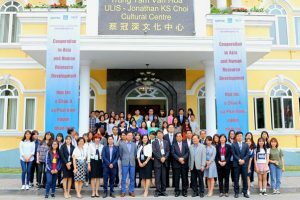 On March 29th, 2018 East Asia Cooperation Center (University of Languages and International Studies – Vietnam National University, Hanoi (ULIS – VNU) cooperated with the Institute of Asian Studies (Saga University, Japan) to hold an international symposium with the topic “Cooperation in East Asia and Human Resource Development”. 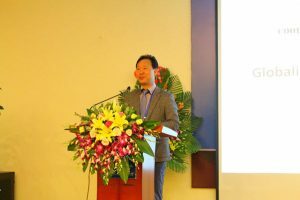 The symposium was attended by Dr. Do Tuan Minh – ULIS’s President, Assoc. Prof. Ngo Minh Thuy – ULIS’s Vice President and heads of member units. From Saga University, Mr. Nakamura Hikokazu – Dean of Faculty of Economics and Mr. Jang Hanmo, Director of the Institute of Asian Studies took part in the symposium. The meeting also received the presence of the delegates from the West of Kyushu University (Japan) and the University of Economics and Business, Vietnam National University (UEB – VNU). 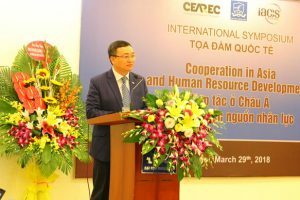 Addressing at the symposium, President Do Tuan Minh welcomed the delegates and expressed his profound gratitude toward Saga University for co-organizing this symposium. 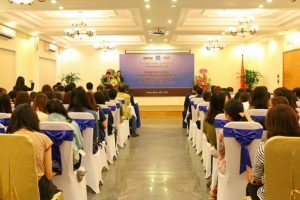 He also hoped that through the opening and interesting topic, “Cooperation in East Asia and Human Resource Development”, teachers and students would gain more helpful knowledge. Also at the symposium, Decision No. 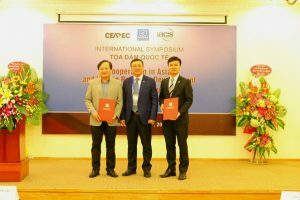 549/QD-ĐHNN was promulgated, which is about the establishment of Center of East Asia Cooperation (CEAREC) under the Cooperation & Development Office. Dr. Bui Dinh Thang – Deputy Head of the Office was appointed as Director of this center. Two presentations were made at the symposium, namely “Asian community and the development of human resources” and “International Education”. Speakers stressed that East Asia is ever-more demonstrating its role in the world arena. Under this context, multi-national cooperation and human resources development activities needed to be paid special attentions. The second part of the symposium focused on discussing the international cooperation and the development of manpower. Some delegates frankly contributed their opinions about the international cooperation in East Asia and the direction of human resources training and development. 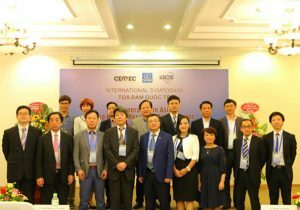 The symposium on “Cooperation in East Asia and Human Resource Development” attracted more than 100 people attending and sharing their viewpoints. Dr. Nguyen Thi Ngoc Quynh was elected as the Co-Vice President of Asian Association for Language Assessment (AALA).